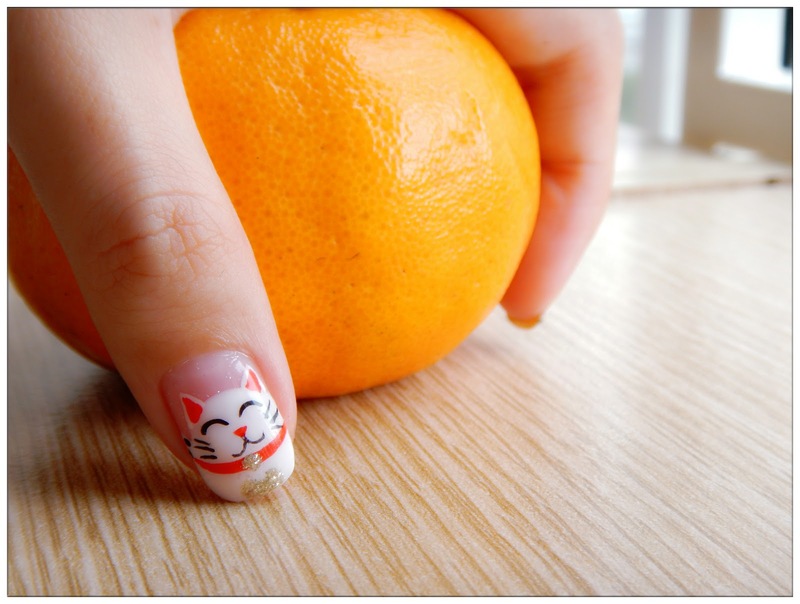 My-fresh-from-the-oven-Chinese-New-Year-nails! (I kinda think the UV light thing to dry of nail gel is like an oven to bake and harden gel nails lololol). Once again, thanks to Re Birth Nail Paradise who did my nails superbly nice to welcome the year of Fire Monkey! Top part of pink heart shape on my ring finger means I'll meet my true love lolololol better be (Plus it's gonna be Valentine's Day soon, some love are needed this festive season). Gold glitter on my pinky finger, this year's gonna be as glamourous and fabulous until the end woohoo! Maneki Neko is definitely my FAVOURITE! The manicurist - Fey of Re Birth Nail Paradise did such a great job designing my nails, paint all the nail arts with patience, and carefully discuss with me which nails to draw what design. I dozed off for a few times during the 2 and half hour process because it is so relax and they are professional in this I can just leave my nails to them and relax. 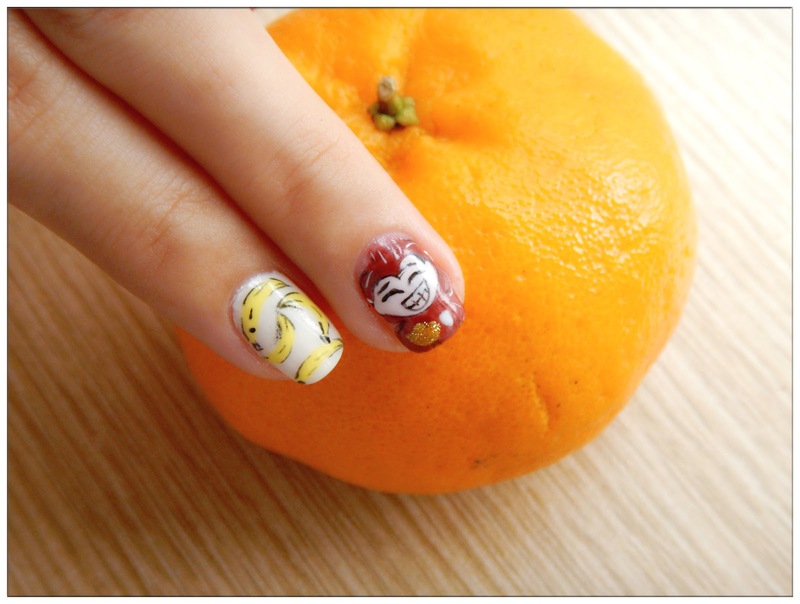 Some of my friends saw my nails, some like the bananas, some like the Maneki Neko, can't feel more proud to have these beautiful nails design on my fingers, showing them off like some rich tai-tais already hahahahahaha. Thank you for such auspicious nail design! 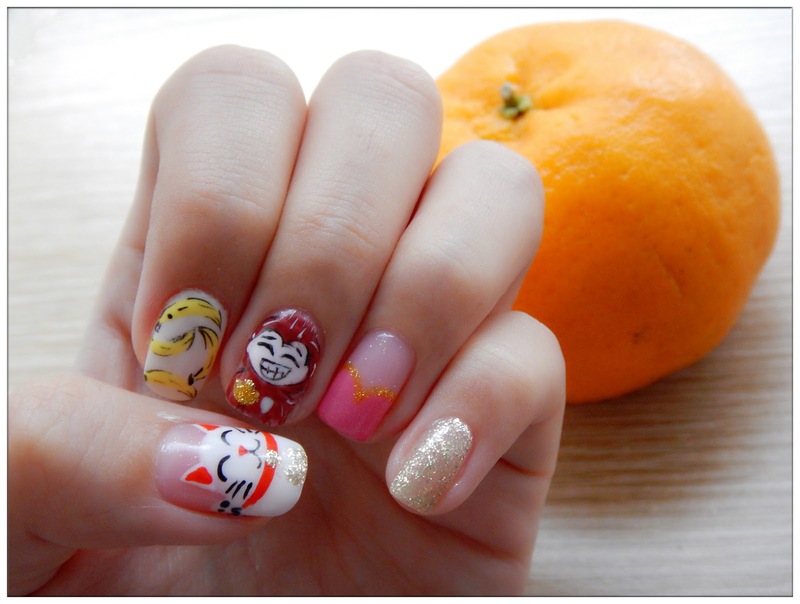 Have you done your nails for this coming Chinese New Year yet? 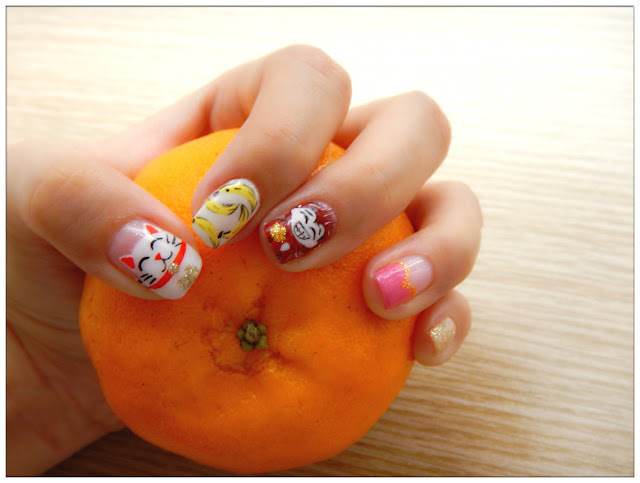 If not, why don't visit Re Birth Nail Paradise near you, they have more Chinese New Year designs than these, hop over their Instagram and Facebook page and have a look, you might find something you're looking for this festive season!